HOME > Publications > Monthly Magazine "KAIUN"
Monthly Magazine for shipping & logistics - the "KAIUN"
Our editorial objective is to provide the unbiassed view on maritime affairs of the world, comments on current topics, accurate data for investigations and statistical charts of all kinds which vividly cover historical facts. 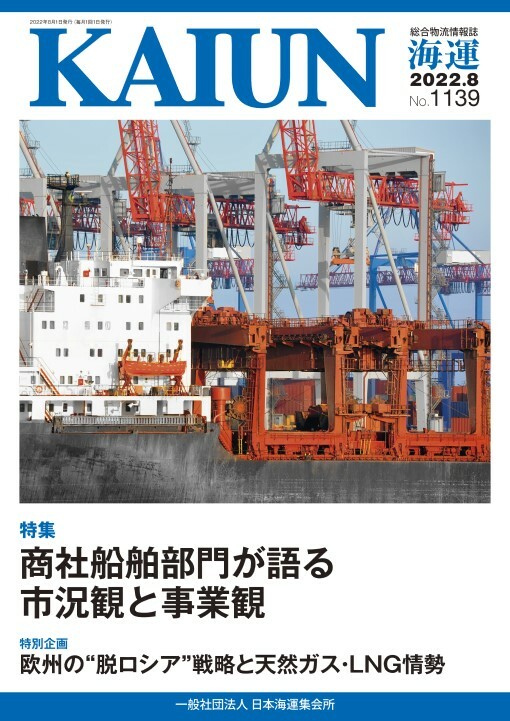 To advertise your company, product &c. in "KAIUN" will appeal to the readers in shipping, logistics, shipbuilding and other marine and logisics related community. For further information, please read "MEDIA FILE".